by Br. Phil Evans, C.J. 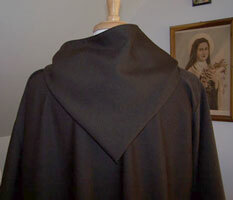 I'm looking for a pattern for a plain hooded habit suitable for a Franciscan order (order of the "Companions of Jesus"). No capuche or Scapular! 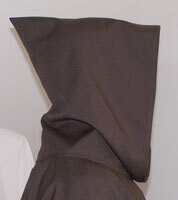 I need to make several in different sizes and they will be either dark gray or dark brown in color. 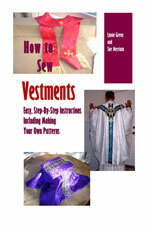 The only pattern we have that might work is our alb pattern. You can find it here.